You guys know how much I love birthdays! Love love LOVE birthdays! And I’m also pretty passionate about vaccinations, so when the chance came up for me to share about Shot@Life and their one year old birthday celebration I couldn’t wait! What is Shot@Life? It’s a movement (with roots in the UN Foundation) that aims at helping children worldwide by providing access to life-saving vaccines. Shot@Life is working to get these vaccines into the places that need it most. For polio that includes Nigeria, Afganistan, and Pakistan. Many developing countries still struggle with measles, especially parts of Africa and Asia. To celebrate Shot@Life‘s first birthday, there are going to blog posts all over the web about the movement and about their Champions. The Shot@Life Champions are a group of the movement’s strongest advocates and leaders. These men and women are given training on media, advocacy, and event planning so that they can better share the information about Shot@Life with their own community and their community’s community! I was excited to meet my Champion, Raymond Liou, and I hope that you will enjoy his story as well. 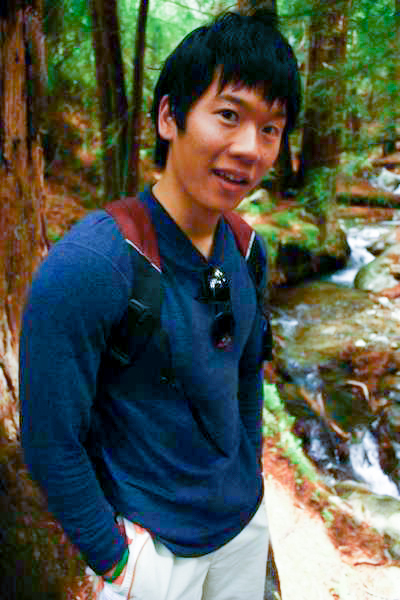 This is Raymond Liou, a fourth-year student at UCLA and a Shot@Life Champion. Ray is pursuing a double major in Computational and Systems Biology + Neuroscience. As part of his education, he was able to observe in the Head and Neck Surgery Department at Kaiser Permanente. Not long after finishing this observership, Ray was able to do some study abroad which exposed him not only to a wide variety of people and ideas but also with the confidence to take initiative and really pursue his dream of working in public and global health. Ray was also inspired by the story of Paul Farmer, which he first discovered while reading Mountains Beyond Mountains*. Ray says that Paul’s “example has inspired me to become a vehicle of justice, to choose goodness and equality as my profession.” I just love that, don’t you? Goodness and equality as a profession. And it would seem that Ray is well on his way! On top of his regular studies and being a Champion for Shot@Life, he is also doing research in the Neurosurgery Department at Ronald Reagan Hospital, working at Didi Hirsch on their suicide hotline, and is a member of GlobeMed, a nonprofit that creates grassroots partnerships with organizations abroad. After joining GlobeMed in 2012, he heard of an opportunity for two UCLA representatives to come to Washington D.C. for some training with a program called Shot@Life. He applied and is excited about the work he has been able to do through Shot@Life since he joined their team. He is currently working on organizing a Shot@Life Champion training and a polio panel at UCLA, creating a student group that focuses on lobbying Representatives, fundraising for vaccine initiatives, and raising awareness in the community about vaccine-preventable diseases and the work that Shot@Life is doing to help get those vaccines to those who need them most. After talking vaccines and medicine and Shot@Life, I couldn’t help but ask Ray one last question. What do you do to celebrate birthdays? These days he says he’s usually travelling on his birthday, but he reminisced about one of his favorite birthdays. When he turned 12, his parents let him load up their RV with a bunch of boys and they went to the arcade and played laser tag. After that they still had energy to spare so they headed back to the house and had a wild sleepover that included gladiator-style duels complete with pillow-shields, sock-in-sock mauls, and styrofoam rods. Boys will be boys, right? 🙂 In all honesty, it sounds like a blast to me and I’m trying to figure out if I can figure out a way to set up a Wipeout-esque course in our backyard! †This is not a paid or sponsored post. I simply think that Shot@Life has a good thing going and I’d like to help! ‡For my friends who are pediatricians, I’d appreciate it if you’d take a look at this AAP link and consider joining the Shot@Life movement. *Full disclosure: This is an affiliate link. If you purchase this book through this link, I will make enough to buy a piece of bubble gum. Or maybe half of a piece.